If you are in the process of building a new home or you’re in need of a roof replacement, you may be wondering what type of roof is best for you and your home. When making this decision, there are a number of things to consider, such as your home’s architecture, which roofing material best meets your needs, and, of course, what best matches your budget. In today’s blog, we at Tim Leeper Roofing would like to offer some information to assist you as you make this decision. As Nashville’s leading roofing contractors, we take great pride in helping our community build and maintain the types of roofs that keep homes looking great and people safe. If you have questions about our residential and commercial roofing services or would like to schedule your free consultation, which includes a no-hassle estimate, contact us today! 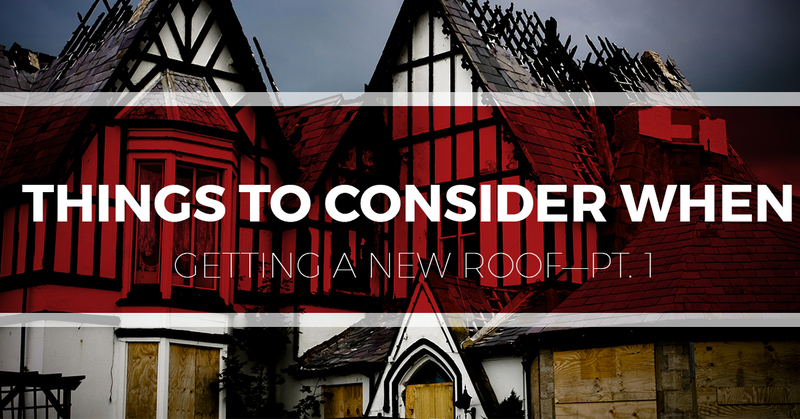 Below are a few things to consider when choosing a new roof. Existing Roof—If you have an old roof on your home that needs to be removed, the condition and type of your existing roof will impact the price of your new roof installation. Specifically, the cost will be determined by the existing material, how much time and effort it takes to remove, and the cost of any necessary structural repairs that must be made. Size—The shape and size of your roof is another contributing factor to the overall cost. Not only will bigger roofs cost more but also features like gables, multiple chimneys, valleys, skylights, and other elements can impact the cost. Additional roofer tip: when talking about roofs, roofers don’t often talk about square feet. They instead say “squares.” One “square” is the equivalent of 100 square feet, or in other words, a common two-story home with a gable roof consists of roughly 15 squares—1,500 square feet. Materials—Not all materials are the same, and not all materials can be used on every roof. A flat or low sloped roof, for example, will not be compatible with many of the materials that a steeper pitched roof can use. Similarly, roofs with insubstantial structures may not be able to handle heavy materials like tile and slate. The cost of each material varies drastically, and this is where it helps to have a roofing company you can trust—people who will work with you to find the perfect fit with the absolute most return on investment. If you are looking for experts you can trust to walk you through this process, contact us! From residential to commercial roofs, our expert roofers are ready to help. Whether you are looking for a total roof replacement, routine roof maintenance, or some of the best roofing repair in Nashville, we can handle it! We take great pride in all the work we do and in keeping you safe and your home looking great! Contact us today to schedule our roofing services or to get your free estimate!